Bremond is located in the Southwest corner of Robertson County Texas. The library address is 115 South Main Street. 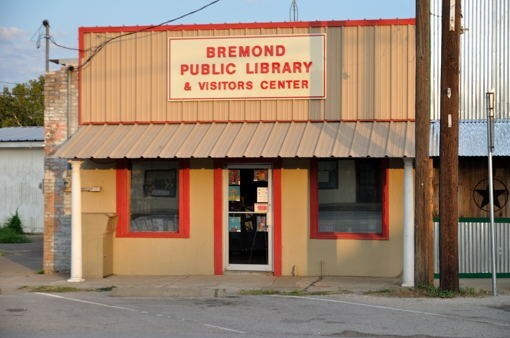 The Bremond Public Library & Visitors Center provides free services to all residents living within Bremond and in the surrounding communities. Library Cards are FREE! Administrative Services are available to everyone for small fees. Click here for fees. The library system holds over 10,000 items for adults and children! We also have some titles on compact disc. In total, over six thousand items were checked out of the system during past year! That is not bad for a small town library. In addition to these items, hundreds of people entered the library to utilize print and electronic reference resources, access the Internet through the Library’s fiber-optic connection, enjoy state-of-the-art Wi-Fi service. Currently we offer six computers for public access, each with Internet capabilities. Our professional and friendly staff are always eager to serve you. Check out our open hours and stop in. 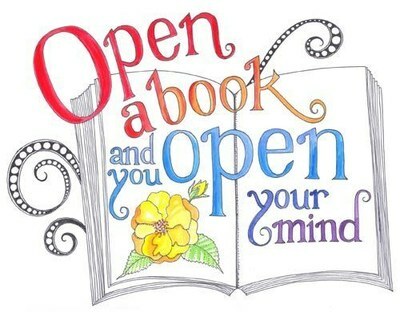 You will be welcome to the Public Library of Bremond Texas! The mission of the Bremond Public Library is to identify, acquire, organize, and make available a broad range of resources in a variety of formats, to support and enhance the education of persons in the Bremond community and the surrounding areas. The library will strive to provide materials to enrich programs and interests of library patrons and staff.